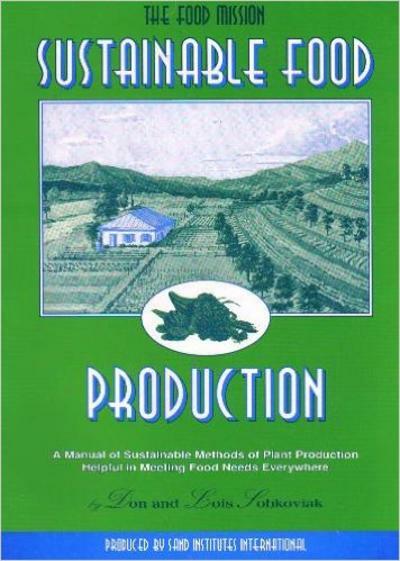 In the first half of this manual, the authors cover a history of sustainable agriculture methods, organic food production, methods of composting, bio-intensive gardening and no-till gardening. There is also a brief section on methods of natural insect control. Somewhat unique are the chapters on the Asian natural farming technique and soil-less gardening. Asian natural farming is patterned after natural conditions, taking a no-till approach. Soil-less gardening (also called container gardening or even hydroponics) has been well covered in ECHO literature; in fact, much of the information used by the Sobkoviaks comes from ECHO. The most valuable chapter I found was titled "Crop Selection & Growth Guides." Although many of the charts on plants, climatic zones and growth patterns are available in many other publications, some good advice is found at the beginning of the chapter on gardening in tropical areas and how it is different to many of us who are used to temperate gardening, yet are working in the tropics to improve agriculture. The last chapter contains sensitive material that may be inappropriate for some closed countries.